Scott Blumstein takes the Main Event title! And Ott seemed well on his way to doubling up, especially when the turn came..
7♥ giving him a straight draw to go with his bigger kicker. 2♥ pairing Blumstein's deuce and the crowds went wild as Blumstein’s 3-outer came in, giving him the Main Event bracelet, $8,150,000 and a place in poker history! Ott’s amazing runner-up spot in his first-ever Main Event – and a $4.7 million payday – will soften the blow somewhat, and full credit to both men for a fantastic display of poker. What had looked like being a foregone conclusion, with Blumstein’s long-held massive chip-lead, was now a heads-up contest to savour – Pollak’s elimination leaving Ott with only a 2:1 chip disadvantage – and a straight flush on the first hand did him no harm either! However, in the small ball play which followed, Blumstein gradually increased his stack, clearing the 300million mark and leaving Ott struggling to find a way back into the heads-up battle for the bracelet. Despite tripling up shortly after his big hit from Ott, Pollak’s bumpy ride in the Main Event final table eventually came to an abrupt end – in a 3-way pot which could have ended the event there and then! As the WSOP.com updates reported it: ‘Pollak moved all in for 35.2 million on the button and Dan Ott moved all in from the small blind for 45.8 million. Scott Blumstein was in the big blind and asked for a count. After a few short seconds, he called. The crowd went wild as the chip leader held the best hand in this epic three-way all in. …and the rail erupted as Ott took the lead with a pair of kings. Pollak picked up an open-ended straight draw, and Blumstein still had outs with a gut-shot straight draw to possibly win the entire thing. The turn was the 4♣, and the river was the 6♠, giving Ott more than a double-up and sending Pollak out in third place, collecting an impressive payout worth $3.5 million. Scott Blumstein and Dan Ott are guaranteed $4,700,000, and will battle heads up for $8,150,000 when play resumes. "I guess in a few days I'll look back and think 'yeah, that was the Main Event that was an insane run.' Over 7,000 players to finish third is insane." The action came thick and fast from the off, Blumstein using his big stack to bully his opponents whenever the chance arose, but it was a big hand between Pollak and Ott which caught the eye. And they were off to the races…. It was Ott who doubled through, leaving Pollak seriously short-stacked, while Blumstein looked on, 200million chips ahead! Three men have battled their way past 7218 other hopefuls and return today to fight it out for the highest accolade in poker, the World Series of Poker Main Event bracelet – and the small matter of some money to go along with it! Scott Blumstein, Daniel Ott and Benjamin Pollak will play to an end on the final day of the summer-long series, and here’s what they are fighting for and how they stand as the cards are shuffled up and dealt for one final session of play, 4th placed finisher and star of the tournament John Hesp making the announcement! Hesp hitting the rail ended the night for our Main Event hopefuls, and the three men left fully deserve their places at the top of the tournament tree. Blumstein, Ott and Pollak will return to the Rio this evening for the final showdown, all eyes on the bracelet, the money now almost a secondary consideration given the amount they are all guaranteed for their fine efforts so far. 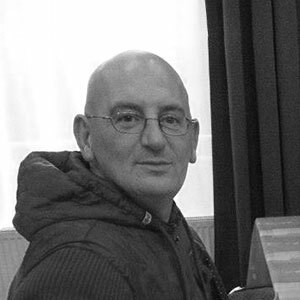 For John Hesp, the Main Event was a bucket list adventure, the semi-retired caravan rental businessman in Vegas for the experience – and what an experience it has been for the born-and-bred Bridlington man! Lifting the actual title proved a step too far for Hesp, but he has lifted everyone’s mood in the Rio this past week – and when the end came he was met with cheers of gratitude and acclaim for his great personality and fantastic play – an amateur among pros for the majority of the last few days. ‘Scott Blumstein raised to 4.2 million on the button and Antoine Saout called from the small blind. The flop came J♣ 7♦ 6♣ and Saout checked. Blumstein checked also, and the dealer put out the 4♣ on the turn. Saout checked again and Blumstein bet 5.6 million. Saout called and the dealer completed the board with the J♥ on the river. Saout checked for a third time and Blumstein moved all in, putting Saout to the test for his last 26.1 million chips. Saout took his sunglasses off and stared at the board and then at Blumstein. Eventually, he called. Saout tabled K♣ J♦ for trip jacks, but Blumstein held 5♠ 3♠ for a straight to the seven. Blumstein headed to the rail to celebrate and Saout was eliminated in fifth place, pocketing $2 million for his second Main Event final table performance. Bryan Piccioli’s see-saw day 2 at the final table found him short-stacked once again on hand 122, and it was a huge blind versus blind battle which finally saw him hit the rail. Shoving with A♣ 7♥ from the small blind, Piccioli was horrified to see Dan Ott call and table K♠ K♣, and when the board ran out Q♦ 5 2♦ 8♣ it left Piccioli drawing to the 3 aces left, but there was to be no reprieve – the river 7♠ pairing his hand, but it wasn’t good enough and Piccioli left the Rio $1,675,000 better off but musing on what might have been. When the inevitable first bust-out of the day happened, it was a brutal rivered wheel which ended Argentinian pro (and part-time lawyer) Damian Salas’ Main Event run. His A♣ 10♥ was ahead of Ott’s pocket 4’s after the flopped ace on an A♥ 3♥ 2♦ board, but the river 5♠ sent the crowd wild, and Salas home - $1,425,000 richer after a tremendous showing all week. The remaining six players are now all guaranteed $1,675,000. With Piccioli and Saout getting their chips in, holding, and doubling up early, it was the turn of John Hesp, who has become a huge fan favourite at the Main Event. Shoving from the button against Pollak’s under the gun raise, Hesp turned over the black bullets A♠ A♣, an unfortunate Pollak showing A♥ K♠ and seeing his stack take a big hit when the board bricked. "Ladies and gentlemen, welcome to the world series of doubling!" When you’re fighting for your tournament life and $millions in cash, flopping a full house with action from 2 players is a dream come true, and that’s what happened to Bryan Piccioli in the big blind on hand 82 of the final table. Even better, though unnecessary, he made quads on the river! A 15million chip pot which launched him clear of the short stacks, but a tweet from the previous day shows that charming the dealers might prove to be a fruitful endeavour! With 7 players returning to the fray instead of the planned-for 6, day 2 might have been a long-drawn out affair, but with Scott Blumstein and Benjamin Pollak accounting for almost ¾ of the chips in play, it would take no little luck and great skill on the part of the short stacks to keep their dreams of a Main Event bracelet alive. Although the plan was to play down to six players, the decision was taken to finish up for the night with seven still in come 11pm local time. Scott Blumstein will come back for day 2 later this evening with a commanding lead and only Benjamin Pollak can really feel comfortable behind him, but as the massive swing in the Blumstein-Hesp hand showed today, in No Limit Hold’em things can change very, very quickly indeed! With a flop of K♥ 4♣ 3♥ the Englishman had improved his chances of survival, but the 8♦ turn was of no help leaving Sinclair desperate for a king or a jack. With the 6♥ on the river, Sincalir was out in 8th spot – an excellent showing from the online pro and one that’s sure to see him play more live events from now on. Hesp goes from hero to almost zero! ‘Blumstein raised it up to 2.2 million from under the gun, and it folded around to Hesp in the big blind. He called, and they went heads up to a flop of A♣ 7♦ 5♥. Both players checked, and the 10♠ hit the turn. Hesp tapped the felt again, and Blumstein fired 3 million. Hesp check-raised to 7 million, and Blumstein didn't take long to reraise to 17 million. Hesp shot up out of his chair, then moved all in. Blumstein snap called, making it the biggest pot of the tournament. With the payouts rapidly rising, it became a battle of the short and shortish stacks – Hesp and Blumstein far-off in the distance with over 100million chips each, the other six ranging from 30million down to 10 million. While John Hesp was contesting almost every pot and winning the majority of them with very aggressive play, it was Antoine Saout who found himself in dire straits – 100million behind the leaders and in a desperate battle for survival with less than 10BB’s. It was a quick exit for the Vegas-based Oklahoman, when he took the first chance he could to attempt the double-up which would give him a chance to play proper poker, his short-stack of about 20BB likely to disappear rapidly anyway with the blinds and antes being so high. Telling reporters afterwards that he expected Sinclair to be making some moves, Lamb jammed in the big blind with A♥ 9♥ after Sinclair raised from the button, but when Sinclair tabled A♣ Q♥, Lamb knew he was “drawing to 3 outs” or a flush. The flop fell 6♣ 5♦ 4♥ offering a backdoor flush draw and when the turn came the 3♣ there were a few chops available as well, however the river 10♥ ended Lamb’s hopes and he was first to hit the rail, $1million better off after a fantastic run. The final table of the biggest tournament of the year, the World Series of Poker $10,000 Main Event, finally got underway – the original 7221 starters whittled down to just nine, all guaranteed a $1million payday and all with the hopes and dreams of landing the bracelet and the $8,115,000 first prize. Back-to-back final tables was the dream of Michael Ruane, last year’s 4th place finished in the November Nine hanging on fir grim life most of day 7, but the poker fates had something else in store for the New Jersey man. Salas tabled J♠ J♦ , and Ruane opened A♣ 6♣ . The flop was 10♥ 7♣ 3♠ and Salas was still out front. The turn was the 9♥, and Ruane needed to hit one of the two remaining aces in the deck. The river was the Q♠, and Ruane was eliminated in 10th place, falling just short of a second-consecutive appearance at the Main Event final table. Knockout after knockout after knockout! When Alexandre Reard’s AQ lost out to Ben Lamb’s AK in a pre-flop all-in, busting Reard in 16th, Valentina Messina finished 15th when he couldn’t improve his QJ against Ben Lam’s AJ, and Karen Sarkisyan’s dreams were dashed when his short-stack got river-flushed and knocked him out in 14th spot, it seemed the action simply wouldn’t slow down. So it proved when Scott Stewart also found his final table hopes shattered with yet another rivered flush at the hands of Scott Blumstein, the payout for Stewart $535,000. And then it was Richard Dubini’s turn to be ‘Blumsteined’ – pocket queens no match for the A2 suited of Blumstein as an ace magically appeared straight out of the hole. Next for the chop? Pedro Oliveira, turning two pair but finding himself way behind against John Hesp’s flopped flush. The board bricked and Oliveira had $675,000 and 11th place in the Main Event to console himself with. In the biggest pot of the event so far, Michael Krasienko found pocket queens and a raising war started, and continued on the ten-high flop, but when all the chips were in the middle he was stunned to see Jack Sinclair turn over pocket kings, and the turn card K♥ sealed his tournament fate – launching Sinclair to almost 70million. The final table was now clearly in sight for the 18 players left, but for Richard Gryko it would be a step too far, the Londoner who started playing tournament poker back in the year Chris Moneymaker took down the title jamming his KQ offsuit but finding Antoine Saout willing to play with pocket tens. Five cards later Gryko was out, a career best cash of $340,000 and a memorable deep run to take home. Tables that is, as overnight chip-leader Christian Pham saw his bracelet dreams blown away in a 15million chip pot with Benjamin Pollak, highlighting the dangers of raising in early position with ace-rags. As the WSOP.com updates reported it ‘Christian Pham raised to 900,000 from under the gun, Benjamin Pollak three-bet to 2,350,000 from the cutoff, and Pham called'. The flop fell A♦ K♥ 10♦ and Pham checked to Pollak who bet 2,600,000. Pham called, the 7♥ turn fell, Pham checked, and Pollak shoved with a covering stack. Pham mulled it over for about 90 seconds before he called all in for a little less than 10,000,000. Pham needed to catch a heart to stay alive, but the river was the 4♠ and the start-of-day chip leader was eliminated in 19th place. Good for the same $263,532 but it could and perhaps should have been so much better for Pham. …all good for $263,532 and leaving us with 19 players, just 1 away from the final two tables, headed by Jack Sinclair wielding a mighty 45,850,000 chip stack and the rear being brought up, appropriately enough, by Alexandre Reard on 4,705,000, little more than 10BB. Against my better judgement, the WSOP bigwigs decided that Marcel Luske had to play by the same rules as all the other players and wasn’t allowed a straight bye into the final table! Shocking decision, but that’s poker for you. …the poker gods finally caught up with the Flying Dutchman in the shape of Benjamin Pollak and his fishhooks, cleverly trapping Luske who he might expect to squeeze from the small blind. The board ran out 2♦ K♣ 5♠ 9♦ K♥ Luske was out in 23rd place, with $263,532 for his troubles. When the first casualty of the day appeared, it was a surprise – Germany’s Robin Hegele, the day 5 chip leader and seemingly healthy coming into day 7 with 11million+ chips, although he’d already lost a third of those, saw an ideal opportunity to double up. Re-raising big stack Jack Sinclair middle position open, he quickly called the Englishman’s shove. Hegele’s pocket queens were ahead of Sinclair’s A♥ 10♣ but there’s no fighting fate at cards, and the turn A♣ pretty much sealed Hegele’s exit. Joining him soon afterwards was a rather more expected name, Michael Sklenicka, who came in as the shortest stack and found his kicker unable to compete with Christian Pham’s when both paired the flopped ace - a 2 on the river meaning there would be no chop for the Czech player, who had hoped to follow in the footsteps of countrymen Martin Staszko and last year’s final tablist Vojtech Ruzicka. Jake Bazeley joined them when he suffered much the same fate as Hegele, all-in with pocket 10’s against Benjamin Pollak’s big ace, this time the flop pairing the bullet and ending Bazeley’s dream run. Florian Lohnert couldn’t make it to the pay jump at 18th spot either when his pocket sixes shove from the cut-off only got as far as the button where Christian Pham, again, found a good enough hand to call, his pocket nines holding up and ending German hopes of a Main Event victory. It’s already day 7 at the Rio All-Suite Hotel and Casino in Las Vegas, with 27 poker gladiators returning to the fray in the hope of hacking and slashing their way to the Final Table – using their chips and wits and experience as weapons rather than swords and cudgels of course. With $263,532 already sewn up, it’s well worth taking a look at the payouts – some players having never come close to poker winnings of this magnitude and dreaming first and foremost of climbing rungs on the money-ladder, while others will have more of an eye on making the final table itself. And here are the top 10 players and their chip stacks, with table draws and seat numbers, which shows that table 3 is the ‘weakest’ chip-wise, which gives the shorter stacks there some hope that any shoves and calls will be that much lighter – a quick double-up a must for the likes of Stewart through Sklenicka. …and it’s Christian Pham who’ll be looking over his shoulder all day to see if anyone can challenge his supremacy. All good things come to an end, and day 6 was no exception – the positives being that 27 players would be returning to battle it out on the final 3 tables, each one of them guaranteed $263,532! Pham leads the pack but there are some very useful players breathing down his neck, and Saout, Ruane and Marcel Luske are all still in the tournament – so anything is possible! 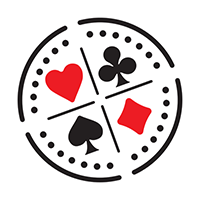 "Over on Feature Table 2, play was paused for a moment due to a marked card in the deck. Randy Pisane was in the small blind, and after he received his two cards, he informed the dealer that one of his cards was slightly bent in the corner. He looked at it, and he said he strongly felt as though someone marked it on purpose." The floor was called over, and the dealer explained the situation, but the players wanted Tournament Director Jack Effel to make a ruling. Effel came over, and after listening to the situation, ruled that the hand was dead and would be dealt over with a new deck. "The good news is that there has been no action," said a smiling Effel. To show why he felt someone marked the card on purpose, Pisane tabled the A♣. England’s Max Silver fell in 45th telling his fans that “Lots of things went wrong today not so many right”, but $176,399 and cheesecake? How bad a day could it have been? Flopping a full house and drawing dead? You’ve got to be kidding me! The Main Event always brings drama to the tables, and for Kevin Song it was watching his tournament life end with flopped quads! "Kevin Song was in middle position and raised to 355,000. Joseph Michael was in the small blind and thought for a few minutes before three-betting to 955,000. Song moved all in for 1,355,000 and Michael called." The flop was 9♥ 5♥ 9♠ and what a crazy board to pop up with these two hands. Quads for Michael and a boat for song who was flopped dead. Joseph Michael immediately let out a giant, "Come on!" and came over to high five his friend, Jordan Holder on the rail who was shouting for a nine to come on the flop the whole time. Song had the consolation of a very hefty $121,188 paycheck, his 40th WSOP cash in total, but he’ll have to wait another year to add to his solitary bracelet win. There are always battles which seem to only rage between a couple of players at a table, and for Jonathan ‘Superman’ Dwek it was Paul Senat who was causing him serious grief on day 5. Superman? Not an online poker moniker, but his new nickname after turning up for day1 (and subsequently) in a full Clark Kent alter-ego costume! Today, when Senat took him for an early 1million hit with a rivered flush to save his tournament life, he expressed his relief: "Whew, I needed that", and Dwek replied: "Well, I needed it too." Fast forward 25 minutes and the two were at it again, small blind Senat all-in again on the turn and Dwek insta-calling, his two pair already guaranteed the pot against Senat’s bluff – who hit the rail with the great story that it took Superman to knock him out of the Main Event! The 85 players returning for day 6 means that just over 1% of the starting field is left, and even the short stacks will have the scent of the final table and riches beyond (most of) their dreams in their nostrils, including two for whom the smell of WSOP Main Event success is just a year distant – Michael Ruane and Kenny Hallaert, who finished 4th and 6th last year respectively. So far, everyone left in has secured $85,482, and the plan is to play down to 27 today (guaranteeing $263,532), although if they get through it quicker they will stop at 18, two full tables all making at least $340,000! That means there is a mass of money up for grabs today and it will be an early battle of the short stacks from the outset, all hoping to double up and stay in the hunt. The stacks range from Germany’s Robin Hegele at the top with 9,990,000 and in no hurry at all all the way down to Mario Vojvoda with 660,000, which with blinds at 40k/80k and a 10k ante is immediate shove or fold time for the Croatian. As expected, the shortest stack in the room, Mario Vojvoda, grabbed the first chance he saw – K♣ 2♣ in the cut-off – and shoved, only to find the big blind Christian Pham sitting with the nightmarish K♠ K♥. With no help from the board it was goodbye Vegas for Vojvoda, his excellent run at an end. So, despite the lack of superstar names, it was an enthralling day of fighting poker at the Rio, with 85 players making it through to day 6 – with $72,514 locked up and huge paydays just around the corner! "Alexandre Reard opened to 120,000 from early position, Alexander Greenblatt three-bet to 320,000 from late position, and Iverson Snuffer four-bet jammed from the blinds. Reard then five-bet shoved over the top for slightly more, and Greenblatt called, putting both of his opponents at risk." The kings might not have needed it, but flopping 3♥ K♥ 3♠ certainly didn’t do Reard’s heart-rate any harm at all! Carrel’s Book of Tells needs a re-write! On a 6♣ 5♠ 4♠ 7♥ J♣ board‘ Ben Cherif moved all-in for just under 500,000. Carrel went into the tank. He leaned over his neighbor to get a better look at Ben Cherif. "If I know this guy, and I do, he's got ear tells," Carrel said. "It's blinkin'. It's twitchin'." Carrel leaned back, then cut out the amount needed to call, shuffling chips very quickly between his fingers. "These ear tells are crazy," Carrel said. Finally, he decided to call. Ben Cherif showed J♦ J♥ for a rivered set. Since Ben Cherif was all in, Carrel was also forced to show his K♥ 4♥ for just bottom pair. "His ear was twitching!" Carrel shouted in his defense. One of the most entertaining players to watch this year has been Mickey Craft, the West Virginian selling his roofing business a couple of years and hitting the poker circuit. In Vegas with his fiancée, he’d been at or near the top of the leaderboard since day 1 – but his Main Event dreams ended in dramatic fashion. Craft, who appeared to be feeling the effects of almost non-stop celebrations, tangled with Michael Ruane – last year’s November Niner and 4th place finisher. Calling a raise with 7-2 off might be the stuff of dreams when you win, but on a 7-high flop, Craft moved all-in and Ruane called with pocket nines, and when the board bricked it was bon voyage to Craft. Except, in true hero fashion, he re-appeared! "I just want to say thank you to everyone for everything," Craft explained. "I just wanted to make a little fun of poker. Whether you go out with king-queen or seven-deuce, it's all for fun. I just wanted to make a little light of these guys day and to say thank you." Poker needs new heroes and Craft is surely one of them now! Chino Rheem is a name which is known to many in the poker community, and mostly for the wrong reasons as he is a notorious degenerate who owes money to all and sundry. The poker forums were awash with rumor of an alleged arrest warrant out for him for unpaid parking tickets or some such thing, with arguments over whether it would be good for him to run deep here (and be able to pay off his debts), or be arrested at the table mid-hand! In any event, neither thing happened – the talented poker pro meeting a fairly normal end to his Main Event run, taking a huge hit when his pocket Jacks lost a race to Ace-King, and a few hands later seeing his AJ called by queens and eights in a 3-way pot – and that was that. Bye bye Chino. Reaching day 5 of the Main Event is a big achievement in itself, and 297 players managed it all guaranteed at least $35,267 so far, with the dream of the bracelet and over $8million a more realistic possibility than when 7000+ players were spread across every spare room in the Rio Casino in Vegas at the start of the week. The biggest of the big names in the poker world may have fallen by the wayside, but there are still some excellent players in the event – Kenny Hallaert, Ike Haxton, Marcel Luske, Martin Finger and Charlie Carrel to name just a handful. But will it be one of them or the relative unknowns who makes a big move today? So, the close of an action-packed day 4 at the Rio finds a mixed bunch at the top of the field – with only one US player in the top ten! All 297 remaining players are now guaranteed over $35K and the biggest story among the big names is Belgium’s Kenny Hallaert. Hallaert, a pro and also a well-known tournament director, made the final table last year and finished 6th for over $1.5million. The odds against back-to-back final tables are still slim, but it’s happened a few times – most notably Mark Newhouse who finished 9th both times! Although only 4% of the starting field were female, day 4 still had quite a few notable names chasing the big dream, but unfortunately for most of them, reaching day 5 was a step too far. The irrepressible Scotty Nguyen, who took down the Main Event title in 1998, was the last former champion still in the field, but finding himself short-stacked he shoved with A7, only to run into Jesse Decker’s big slick AK – and that’s all she wrote. Well, a WSOP without any arguments wouldn’t be worthy of its name, would it? The pay leaps are small for the next few hundred players who fall, an extra $5K over the already secured $15K only coming at 666th spot, with $100K way off in the distance for those making the top 72. That’s why so many tables are seeing huge action – players trying to build a big stack while others fight over the, admittedly relative, crumbs – a big stack a must for going deep in this huge event. One big name who won’t be going any deeper is 2009 Main Event Champ Joe Cada, his short stack shove with A9 dominated by Joris Ruijs’ A10, Cada heading home with $16.024 for his efforts. There are currently 42 players over the one million chip mark, headed by Eugene Kotlyarevskiy with 1.9 million, but the Jaws theme is striking up as high-stakes Englishman Charlie Carrel is in hot pursuit, sitting 2nd with 1,670,000. It’s early days, but since Carrel is used to playing with these kinds of numbers in cold hard cash as well as chips, it’s unlikely the nerves which hit many at this stage will be a worry for him. It was a relatively – or in some cases extremely – happy bunch of 1084 players who sat down for the start of day 4 of the Main Event in the Rio Casino in Las Vegas this morning, as all of them had reached the money in the early hours of the morning, now guaranteed $15,000 for their efforts so far, including of course those picked for the TV feature tables. There is likely to be bloodshed aplenty early on, however, as those who barely scraped through the bubble will be all-in (and mostly all-out) as quickly as possible. With the blinds at 3000/6000 with a 1000 ante, anyone close to the 100k mark or less will be in trouble if they don’t make a move soon. One person who did make a move was Jody Evans, who according to the WSOP.com updates ‘had 113,000 and got all in with pocket tens. He got one caller for less and the big blind who had him covered called and turned over KK. The shorter stack had AK . Evans was cheering for a ten, but hit two tens on the flop. He couldn't contain his excitement,’ exclaiming "F$#k yes baby, quads!" It took some 14 hours of play on Day 3, but finally the money bubble burst just after 1 a.m. Las Vegas time, with Roger Campbell’s flush draw failing to complete on the river and Quan Zhou losing out to David Kitai when ‘tried an all-in overbet bluff on the river with ace-high … and got snap-called,’ according to the WSOP.com updates. So, 1,084 players made it to the money and will return for day 4, guaranteed at least $15,000 of the $67,877,400 prizepool with the destination of the Main Event bracelet and $8.15 million still a few days away. Doug Polk wasn’t going to go down without a fight, having ‘just four-bet shoved from under the gun plus one and on this hand he raised under the gun to 11,000’ according to reports from the floor. This time he was looked up when he shoved again to a re-raise and found his pocket queens up against the ‘big slick’ of Paul Vas Nunes. The king on the flop killed Polk’s hopes off, his opponent saying: "It was suited," to Polk as the high-stakes vlogger hit the rail. Hachem got it all-in with his A♣ J♦ ahead of the Q♥ 10♥ of Jared Palmer, but the flop of Q♦ 3♥ 8♠ changed things dramatically, and when the turn came 10♦ only a king could save the Aussie – but it wasn’t to be, the 3♠ completing the board and Hachem’s exit, still 500 short of the money. "Good luck, guys. It was nice playing with you. All the best!" said Hachem as he departed, and there was one fewer big name left in the Rio. With the winner among the remaining stacks, one person it won’t be is Mike ‘the Mouth’ Matusow who bluffed his stack off against Mike Brosky who, in Mike’s words, “hasn't had it all day and now decides to wake up with a hand." "I'm so frustrated. I had the worst table draw. I played for three days, and I had horrible table draws every day. I just lost it. I couldn't stay patient. I'm so mad at myself right now because I know better." Day 3 starts with 2,572 still in it to win it! The three starting day 1’s and the two day 2 have whittled the field of 7,221 players down to 2,572 and the big names, grinder pros and unknown amateurs are all just half a day’s play away from the money spots! At the end of day’s play it’s a mixed bunch of pros and amateurs leading the way, with Natasha Mercier in the top 10, well ahead of husband Jason. Jason’s own tweet had British poker fans laughing at least! For US viewers, Preparation H is the recommended course of action for ‘piles’! Hopefully he finds her a cushion to sit on for day 3! With the tournament still at the very early stages, it’s often more interesting and fun to see follow who is busting out rather than who has an early chip lead. And the big names were dropping like flies! ‘Negreanu moved all-in from early position and was put at risk by John Allan Hinds out of the big blind. It wasn’t to be however, and they’ll have to wait for next summer to renew their bracelet hunts. Poker players don’t come much more legendary than Gus Hansen and Antonio Esfandiari, and while one was busting out the other was literally kissing his chips goodbye! Hansen has recently found a new lease of life in poker but he couldn’t match Caufman Talley’s two pair and his revival in the Main Event at least was over. At much the same time Esfandiari was engaging in a bit of wordplay with Shawn Buchanan, whose new nickname at least according to the Magician is ‘Cyclops’! As WSOP.com updates report, Esfandiari was fishing for some info. "You never give up, Cyclops?" "Jack-ten would hurt me emotionally, not just financially," Esfandiari said. "What do you have, Cyclops?" Esfandiari then cut out enough to call and held it in his hand. He kissed the chips. "You want a gift?" Esfandiari asked. Then he turned to the dealer, and with chips in hand began to talk. "Will you take this and put it on his stack?" When the fun was over, Buchanan revealed a rivered straight and ‘The Magician’ had failed to pull a rabbit out of his ‘Aria Las Vegas’ hat! This time last month 70-year old Purple Heart veteran John Smith was confirming his status as one of the most difficult heads-up opponents at the WSOP, his unorthodox style winning him 2nd spot in the heads-up bracelet event for the 2nd year running. His Main Event 2017, however, is over after his massive river bluff just failed to get through, Quoc Vu tanking for more than 3 minutes before calling with his set of sevens and seeing Smith tabling his busted flush draw – and busted tournament dreams. German super high roller Rainer Kempe is a quiet man at the table, preferring to let his bets do the talking, but when he called Andrew Wilmot’s shortish stack all-in with a small pocket pair it brought an interesting though short conversation according to the the WSOP.com updates. "You didn't have to call with pocket threes," Wilmot said. "Either I win chips, or I can whine about losing a flip," Kempe pointed out. "I can only win." Quite! And Germans do have a sense of humour after all! It was the return of the day 1c survivors for the imaginatively named day 2c at the Rio this evening, and the big names looking to make a move included 2015 champion Joe McKeehen, the one-and-only Daniel Negreanu, 2009 victor Joe Cada, Antonio ‘The Magician’ Esfandiari, online beast Chris Moorman, new PartyPoker supremo Mike Sexton, the incomparable Phil Hellmuth, and a slew of female pretenders to the crown including Cate Hall, Natalie Hof, Kathy Liebert and Maria Ho. “I was up til 8:45 a.m. I was just checking out Facebook, chatting with the mates, only got two hours of sleep. Staying up all night, like a boss". Should he make another deep run to follow last year’s incredible journey and it’s not clear if he’ll be thrown out of the Rio or given the keys to the casino’s money vaults! The end of a long day’s play had separated some of the wheat from the chaff, as the initial days are intended to do, but the top ten chip stacks come closing time at the Rio held few names of note, although Jared Hamby was in the news recently for his altercation with Mike Dentale. "I got paid when I had nice hands basically. The structure is so amazing and I just look forward to idealizing my stack. I play deep a lot these days, and I just have to keep finding the right spots and make the most out of it." Day 2c kicks off later today and PokerTube will bring you all the best of the action right here. What AA difference AA day makes! When Gaelle Baumann’s saw off the aces and tournament hopes of Vanessa Selbst on day 1b, only a fortune-teller of great skill could have predicted that the self-same pocket rockets would see the Frenchwoman exit the Main Event. She ‘got her remaining 66,000 chipsin the middle against Marc Rivera and was in great shape to double up’ according to reports on the spot, Baumann turning over the red aces while Rivera showed the black kings. The flop of K♦ Q♠ 7♥ was a crushing blow for Baumann and with no help on the turn or river, she headed off into the Vegas night doubtless cursing fate and co-incidence. In a tournament as big as the Main Event, big hands vs bigger hands are hardly rare, and one of the biggest saw AA v KK v KK! Larry Smalley had the aces and although it entailed a short sweat as the flop brought a backdoor diamond flush possibility, the rockets held up this time and Smalley was left with close to a quarter million chips. There was to be no back-to-back Main Event glory for last year’s surprise and hugely impressive victor Qui Nguyen, when he got it all-in against James Akenhead. Nguyen’s K♣ Q♥ was ahead on the 10♠ K♠ 7♣ 8♣ board but Akenhead’s Q♠ 7♠ had a ton of outs and as the WSOP.com report states, ‘Nguyen let out a hefty grunt as the J♠ fell on the river’ – giving Akenhead a winning flush, and seeing Nguyen take the blow well, with a handshake for everyone as he left. Scheduling such a massive tournament as the Main Event is no easy thing, but for fans of the game it’s enough to know that the survivors of days 1a, 1b and 1c will return for days 2a, 2b and 2c, with 2a and 2b both playing today, but separately, and 2c tomorrow – got it? Hmmm, maybe I’m just easily confused! More stats are available at WSOP.com. It’s the “Las Vegas version of the American dream” according to World Series of Poker executive director Ty Stewart, and 4,262 players seemed to agree with him on day 1c, the 3rd starting day for this year’s Main Event which brought out some of the biggest names in the game including Daniel Negreanu, Phil Hellmuth, Chris Ferguson, Johnny Chan and Mike Sexton. Big Phil Hellmuth is never shy about sharing his words of wisdom, and when things are going well he’s the nicest guy in the Rio, which had to put every room available into action to deal with the mass influx of hopefuls. Joe Cada, Chris Ferguson, Johnny Chan, Scotty Nguyen and Joe Mckeehen all entered the fray today. He’ll have to go some this year, however, to make up for lost ground as he bagged 63,000 at the end of the day. 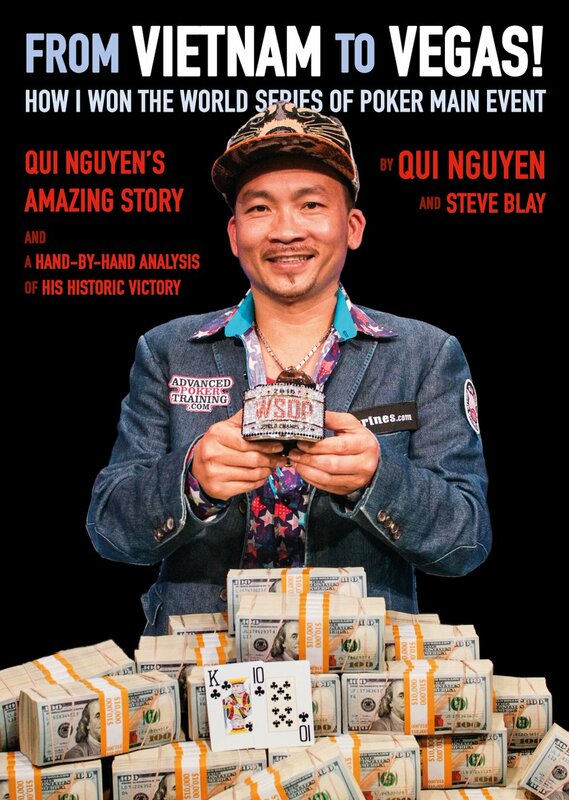 Johnny Chan is an institution at the WSOP, the 1987 and 1988 back-to-back champion immortalized in the cult poker movie ‘Rounders’. This year he was in fine form at the table and not only with his card-playing skills. Beer and Johnny Chan have a long tradition together as well, so it was no surprise when he led the table in a merry game which meant whichever card on the flop matched the players seat number, that player had to buy a round of beers! "Cheers everybody. Good luck in life! "said Arne Coulier as the drinks flowed. Naturally with such a massive field and players dreams and hopes strewn throughout the massive Rio complex it is hard to focus on any one individual so early in the event. The big names were everywhere: Jason Mercier and his 6-months pregnant better half Natasha Barbour Mercier? Yep, both running well, despite one of them being 6 months pregnant! Both made it safely through the opening day minefield, though, Phil just edging out his wife in the chip counts with 71,300 versus 70,000. Two players who would make the unlikeliest poker couple in the history of the game are Cate Hall and Mike Dentale, their 2017 feud resulting in a resounding ‘headsup4rollz’ victory for the former. Dentale managed to keep his well-reported temper under control and ended the day with a healthy 90K – but Hall again outperformed muscle-bound Mike with an even 100K to her name come closing time at the Rio. A list of other names to watch out for come day 2b (day 2a tomorrow will see the survivors from days 1a and 1b return to battle it out) are Matt Affleck (97,200), Maria Ho, Fernando Pons, Antonio Esfandiari (72,100), Annette Obrestad, Cliff Josephy, Mike Sexton, Ike Haxton, Sylvain Loosli (who came 4th back in 2013), Marcel Luske, Kathy Liebert, Bertrand Grospelier and the incomparable Jennifer Harman (85,500). With over 2000 players turning up for the second starting day of this year’s summer biggie, the normally icy temperatures of the Rio’s cardrooms were a bit warmer than usual – until a remarkable cooler hand saw two of the best female players in the world clash, and only one would survive! If the action on day 1a had been interesting, Vanessa Selbst and Gaelle Baumann’s clash will be remembered for a long time… and you don’t have to speak French to get the gist of what happened! "I felt sorry for her," Baumann said of her immediate reaction according to the WSOP’s updates. "It was just a sick beat. Then I was happy she wasn't around the table anymore, because she's tough. It's sick for her. I got so many messages, it's crazy," she said. "My Twitter went crazy. I didn't even read everything. Everyone was saying it was such a sick hand." Watch the full dramatic hand unfold here, and kudos to Selbst for not snap-calling as 99.9% of other players would have. Top pros have a 6th sense, but they also have to play the numbers game – impossible to get away from the 2nd nuts sometimes. One of the better-known and most interesting players who walked into the Amazon room to start his assault on the biggest title in poker was Kenny Hallaert, the Belgian pro and tournament director who has great memories from last year when he finished 6th for almost $1.5million. It wouldn’t be a normal day at the Main Event without former champions turning up, and today we had not only Aussie Joe Hachem, but also two of the most memorable Main Event winners in recent times – Jamie Gold and Chris Moneymaker. Moneymaker, as we all know, is the eponymous hero of the poker boom of the noughties, his stunning victory in 2003 seeing the phrase ‘the Moneymaker Effect’ become just as popular as the ‘Butterfly Effect’ and with similar consequences. 2006 champ Jamie Gold still draws a big crowd wherever he goes and it was no surprise to have the love-him-or-loathe-him pro on the feature table, the ESPN coverage having a wealth of riches to share with the millions of fans watching on TV and online. Unfortunately for Gold acolytes, their hero – who to this day took down the biggest Main Event prize in history, $12million – couldn’t make it through the vagaries of day 1 and will have to wait another year for his comeback run. 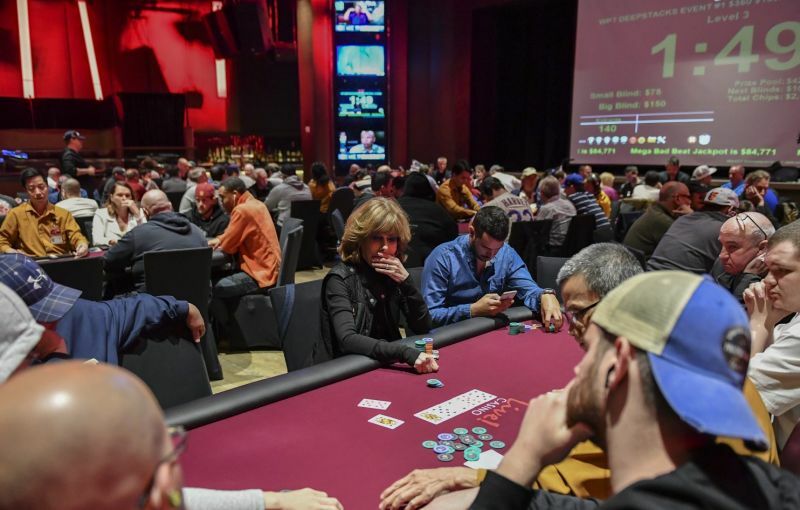 Big names mixing with rank amateurs is what the Main Event is all about, and day 1b had it in spades – 2174 players of which 90% would be known only to friends, family and their local casino! If you’re quick, you might just be able to catch some familiar faces battling unknowns on YouTube, although videos are being deleted by Poker Central as quickly as you can watch them unfortunately – not great for the game or viewers outside of ESPN coverage. Names you will definitely recognize include Matt Glantz, Scott Seiver, Jeff Lisandro, Randy ‘Nanoko’ Lew, Juha Helppi, Charlie Carrel, Jonathan Duhamel, Joe Hachem and Liv Boeree – all of them proceeding in various degrees of comfort to day2. Boeree won the last longer with husband Igor Kurganov quite easily, the latter busting out – but not before the pair had spent the break doing what comes naturally – if you’re a watermelon lover that is! It always seems an eternity between the day the World Series of Poker opens its doors for play early in the summer and the kick-off of the tournament that fans everywhere are waiting for with baited breath – the Main Event, and all that entails: massive prizemoney, incredible characters and amazing stories. Well, the day finally arrived and it was a mixed bunch and a very mixed day at the tables in the Rio Casino in Vegas, those who turned up for ‘day 1a’ hoping to get their good start in very early – with former Main Event champions, including last year’s winner Qui Nguyen, the likes of Mike ‘the Mouth’ Matusow, and a motley crew of ‘is/was/wannabes’. It turned out to be the biggest day 1a for several years, almost 800 players ponying up the $10K buy-in and descending on the Amazon and Brasilia rooms en masse, and the poker was wild and woolly stuff from the get go, as you’d expect when rank amateurs ticking off their Vegas bucket-list meet gnarly pros and every level of cardplayer inbetween. “That was the best part of the old days. People lost a few chips and thought they were short. They'd have 10,000 and lose 700 and start panicking." In any event, Matusow safely negotiated the tricky first-day waters and could sleep soundly on his 94K stack. No starting stack size will ever prevent someone from busting out first – and early – and this year’s (dis) honorable went to Samuel Yun, tanking and having the clock called on him before swiftly exiting the Brasilia Room when his call with jacks and tens proved no match for a flopped ten-high straight. Former winners were not exactly in short supply, 2007’s memorable champion Jerry Yang putting in an appearance, but a late-night 3-way all-in proved to be his downfall and he’ll have to wait another year for a shot at double-glory. …and had managed to recover somewhat and make it through to day 2, although sitting far from healthy at under 40,000 chips. All eyes were on last year’s surprise winner Qui Nguyen, and true to form he turned up in his trademark raccoon hat and continued playing the same aggressive and impossible-to-predict poker which stunned the final table at last year’s November Nine shootout. With a name like Jane Stanton Hitchcock, she really had to turn her hand to mysteries, and its novels rather than movies which she is famous for – with a bit of poker thrown into the mix too, Jane having played for a few years in and around Vegas with over $55,000 to show for her troubles. One of her best-selling novels, ‘A Dangerous Lady’, might well have been a warning to her opponents, but she’ll have to go some to find a twist in her Main Event tale, bagging only 29K at the end of play. 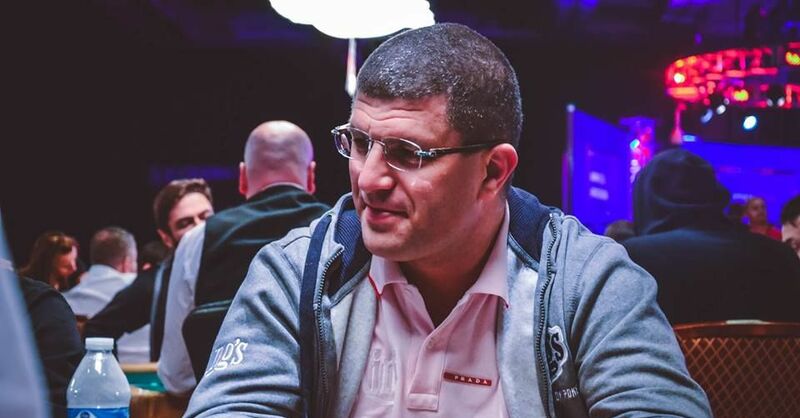 Leon Tsoukernik has been much in the news recently, an excellent showing at the Super High Roller Bowl being somewhat overshadowed by the legal action taken against him by Australian pro Matthew Kirk over an alleged unpaid $2million debt. Leon, however, turned up smiling at the Rio and involved himself in as many hands as possible. It wasn’t to be his night though, and despite a few double-up saves he was sent off to the VIP room early doors. If you ever need to know who has won what and where, the Hendon Mob is the go-to site for all kinds of fantastic stats, but many have forgotten that the Mob itself was made up of England’s finest old-school pros. Although the late Dave ‘Devilfish’ Ulliott was perhaps the best-known on the world stage, Barney Boatman certainly made his mark on this year’s event. Boatman’s Twitter feed is as witty as his table-talk, the player in question here probably unaware that he was playing with a legend. A name I knew from the world of tournament chess long before I was aware she played poker too is Jennifer Shahade, a woman who has been missing from the tables for a few months but with good reason. So, day 1a – traditionally a quieter day as other events are finishing up meaning some of the big names and those in fine form are unavailable – had quite a bit of excitement to it! The Main Event is up and running folks, and there’s another 9 days of it to look forward to, with daily reports from yours truly covering the best of the action.